In this village in the heart of Provence, you’ll find all the charm of a typically Provencal way of life. You’ll soon be strolling along the boulevards under the shade of century-old plane trees. Wander around the narrow little streets, discovering squares where fountains play, and the attractive boutiques and art galleries that make the town’s historic centre so lively. Sit outside at one of the many cafes and restaurants, enjoying their welcome while you refresh yourself with a drink or try the country cooking based on local products. You’ll find a warm, friendly welcome in this charming little town, especially on market days and at the many celebrations and festivals throughout the year. Discovering Saint-Rémy-de-Provence also means enjoying the magnificent landscapes of the Massif des Alpilles, now classified as the Parc Naturel Régional des Alpilles (Alpilles Region Natural Park), with the town nestling at its foot. In this magical setting, bathed in sunshine for more than 300 days a year, you’ll realise why so many famous people have loved this little town. I have been there numerous times and can confirm that this description is quite adequate. Explore the streets and squares, sit down for a coffee or a glass of wine in one of the many street cafés. 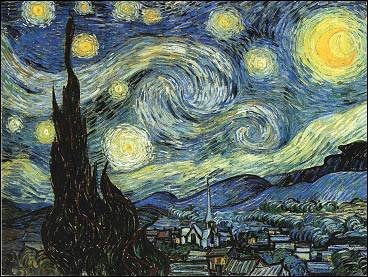 In case you did not know: Van Gogh created one of his most famous paintings in St Remy where he lived for a few years. 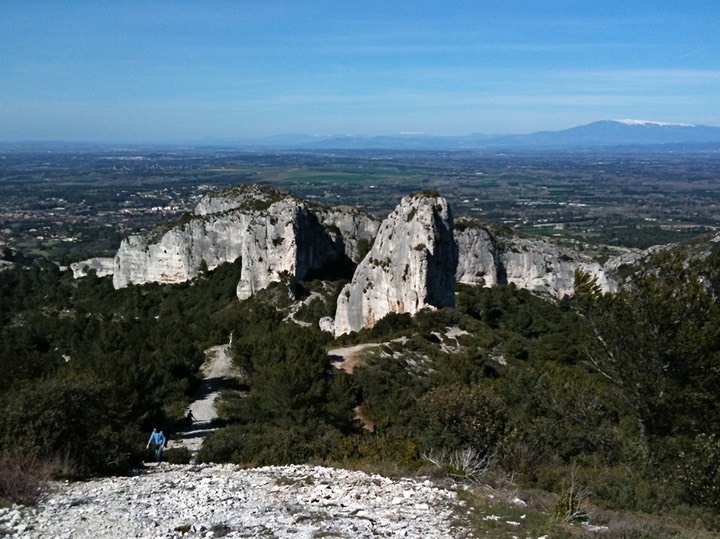 As a preview to the next day, here’s a picture I took on a hike with my wife in the Alpilles. The view to the northeast from the mountains south of St Remy shows the farmland in the valley we will ride through and – in the distance – the majestic Mont Ventoux.